On January 13, 2012, Cemex held a public demonstration in New Braunfels for the construction of a 1/2+ mile long segment of Solms Road (west of I-35 to the railroad tracks). The demo attracted over 100 public agency personnel from cities, counties, and TxDOT, as well as engineers and construction professionals. This road was a reconstruction of a badly deteriorated asphalt road that is the principal truck access road to the Cemex cement plant from I-35. 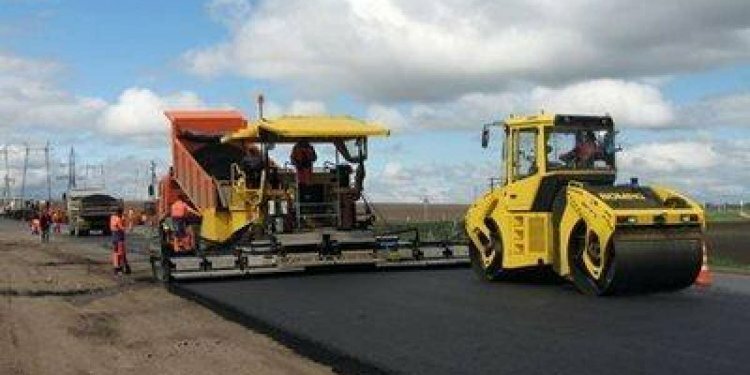 The pavement section consisted of a cement/lime-modified subgade layer, with cement-treated base on top, and RCC pavement (9 in) as the surface. The RCC placed during the demo was a section between I-35 and FM 482, with curb and gutter. A section placed in December 2012 (west of FM 482), had no curb and gutter. The older section, during the demo, was diamond ground to improve smoothness and rideability at higher speeds. Cemex-organized introductory RCC pavement presentation and demo (January 12, 2012) in New Braunfels for Solms Road reconstruction attracted over 100 city, county, and state agency personnel. RCC was produced at the Cemex plant quarry in the pug mill. A pug mill is ideal for mixing very dry materials, like RCC or cement-treated base. RCC discharged from pug mill into dump truck. Outside of twin-shaft mixing chamber of pug mill. Loaded dump truck carrying fresh RCC across RCC road section that was placed in December 2011. High-density paver with dual tamping bars placing RCC pavement (9" lift, after compaction). Compaction out of the paver will be more than 90% of maximum. RCC paving operations. Note subbase in foreground is cement-treated base, on top of cement/lime modified soil. CTB provides a superior work platform, and the cement/lime modified soil stabilizes and strengthens the expansive and weak clay subgrade soils typical of Central Texas. RCC being placed between cast-in-place gutter section (left) and fresh RCC (right, less than 1 hr old). It is important to place and compact "fresh joints" within an hour of placement of the first section of RCC to achieve a continuous RCC pavement. Compaction with 10-12 ton vibratory roller begins immediately following paver. Vibrating roller makes multiple passes. A smaller roller provides final compaction and finish to the surface. Density is checked with a nuclear gauge. Density target is 98% of maximum dry density. Fresh finished compacted RCC surface next to cast-in-place concrete gutter. RCC typically has a more open-graded look to the surface (similar to asphalt), than the more textured/finished surface of cast-in-place concrete. Applying a heavy coat of white-pigmented curing compound is critical to achieving a durable surface. This must be done immediately following compaction. Joints in RCC are cut with an early entry saw following compaction. Early entry saws ensure that random cracking does not occur. Completed saw cut on 1-month old RCC pavement. Diamond grinding truck, putting a ground surface on a section of Solms Road constructed in December 2011. Diamond grinding can smooth out an RCC surface so it can be used in higher speed limit (>35 mph) applications. Unground surface (left) and diamond ground surface (right). Section of Solms Road (west of FM 482) placed in December 2011, diamond ground at the January 13th demo. Note that this section of road did not have curb/gutter.